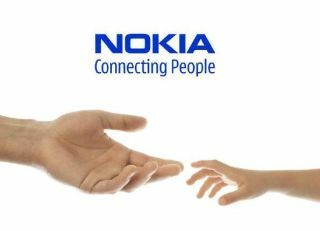 Nokia CEO Stephen Elop has once again brushed off rumours that Nokia is set to sell its smartphone division to Microsoft. The latest rumour, perpetrated by Nokia watcher Eldar Murtazin, spoke of Elop finalising a deal with Microsoft CEO Steve Ballmer over CES and leaving Nokia before the sale went through. Elop has responded by saying exactly what someone who was planning to see a smartphone division to Microsoft would say to throw people off the scent: "The rumours are baseless." He went on to zing Murtazin (without referencing him by name, of course), saying, "Some people who seem to enjoy generating rumours are running out of fresh material, so it seems to have come up again." To back up his comments, Elop went on, "There's significant synergies between the multiple groups within Nokia - for example, on decisions around chipsets, on memory, on different display technologies. We gain scale advantages across the entire portfolio of devices that we have." His argument is that this scale advantage and multi-departmental synergies make a sale to Microsoft a nonsensical option. Sure, but if Nokia does sell its smartphone division to Microsoft we still won't be all that surprised.